What Makes This Private Mental Health Hospital For Pennsylvania Teens Unique? Compared to other private mental health hospitals for Pennsylvania teens, ViewPoint Center has an extensive assessment process. Our staff is comprised by a slew of experts in their field (psychiatrist, psychologist, therapists, nurses) who start with evaluations and assessments from the very first day. Every Pennsylvania child we admit is immediately evaluated for emotional and behavioral challenges such as self-harm and depression so that we can take necessary precautions. Prior therapies, medications, and diagnoses are considered when determining a plan of treatment. 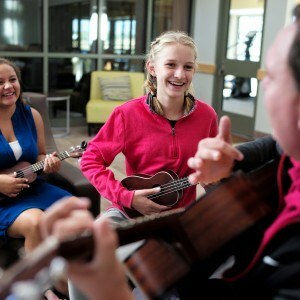 Although ViewPoint Center is located outside of Pennsylvania, we help teens from all over the country. We deliberately admit a small number of patients at a time (up to 26) so that every Pennsylvania child gets a deserved attention from our staff. With so many different evaluations and assessments, we are possibly the only private mental health hospital with an individual treatment plan for every child, because we take every single piece of information into account. We believe that our private mental health hospital is the best choice for Pennsylvania teens who suffer from various psychological disorders, such as eating disorders, depression, aggressive behavior, drug or alcohol abuse, and many others. Even if you are not sure what your child struggles with, ViewPoint Center is more than capable of establishing a valid diagnosis. Thanks to our wide array of experts from a variety of relevant fields, our private mental health hospital will successfully assess your Pennsylvania teen and figure out what the best treatment is. There are too many teens with an inaccurate diagnosis getting unsuitable treatment. That’s why we made sure that our patients are examined from every possible angle by various experts. Our private mental health hospital is located in Utah, but we help teens from all over the country, including Pennsylvania. The patients usually stay 5-6 weeks and during that period, they can enjoy a safe environment and receive a proper amount of attention. Attention to our patients and the ability to diagnose even the most complex psychological conditions is what makes us different from other private mental health hospitals. You can check our FAQ for general questions, or you can call 855-290-9682 to ask anything about our private mental health hospital. You can also fill out our contact form and we’ll get back to you as soon as possible. Help Guide – Run by psychology experts, Help Guide offers over 250 articles about mental and emotional disorders aimed at teens and their parents. They cooperate with Harvard Health Publications to ensure that all the data is scientifically valid.